The web.airdroid.com only connect a device in other network at a 1:00 AM until 8:00 AM since 13/10/2015. It's not a local problem because there several users reporting the same problem. During the day not connect. And it seem that most of this users are from Brazil like me. maybe it helps. Phone and PC are connected to different network? Wi-Fi or mobile network? And we're looking into this issue now. Pls kindly stay tuned. I´m a premium user from Brazil, and cannot manage my device if it is using 3G network. It is just working for local network. 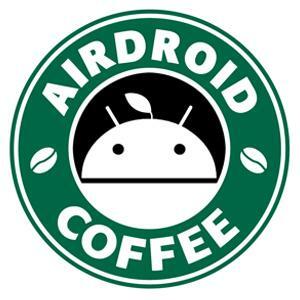 I already unistalled and installed Airdroid back on my device, and did not solve the problem. I noticed the problem on the 15th and it is still not solved. Please give us some guideline. Hi, we've restarted the service, pls try again today to see if the issue still remains. Thanks. Re: please, Mr. Coffee and administrators!!! adriana tinelli piontelgvilelawebthenthinmaximumnazarena Ortegaandroidfer Hi, nós reiniciado o serviço, pls tente novamente hoje para ver se o problema ainda permanece. Obrigado. Same problem Yet! Only connect other network (Wifi and 3G) at 1:00 AM until 8:00 AM. During the day only connect local network. Last edited by Android on Mon Oct 19, 2015 10:48 pm, edited 1 time in total. As many users stated, web.airdroid.com is just working from 1:00 AM to 8:00 AM in Brazil (UTC - 3:00). Is there any reason for that? Routing problem? Server throughput? é impressão minha ou voltou a pegar?? ?